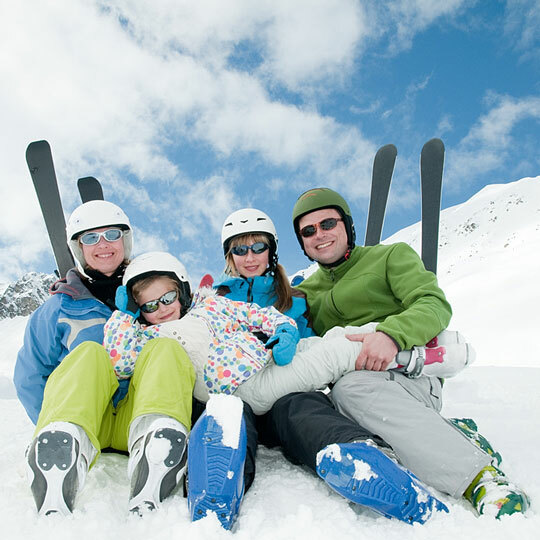 A happy family enjoys a winter holiday at a family ski resort. The family is photographed in the snow wearing outwear of green, blue, and white. Their skis are propped up on back of them. After resting, the family will click into their skis and take another run.